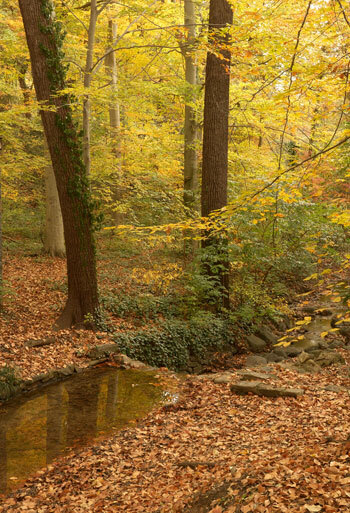 Unlike the 16 acres of formal gardens at Washington, D.C.’s Dumbarton Oaks, there are no remaining plans for Dumbarton Oaks Park, the wild garden that is its complement. Perhaps Beatrix Farrand, one of the most prominent landscape architects of the 20th century, laid out most of the design in response to the larger scale of the landscape and wilder conditions of the lower 27-acre parcel? But how does one know? And how does one restore and rehabilitate a landscape without the plan of the original designer? One must read the traces that remain. 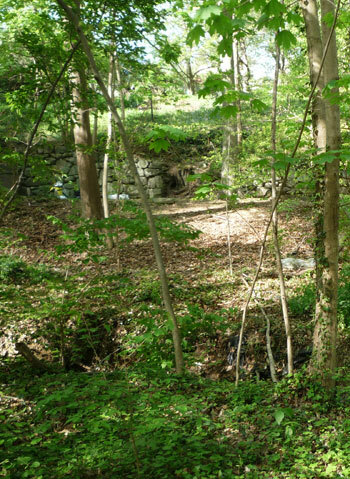 As the cultural landscape report written by the National Park Service in 1999 describes, what remains at Dumbarton Oaks Park is rich enough to suggest the journey Farrand created. 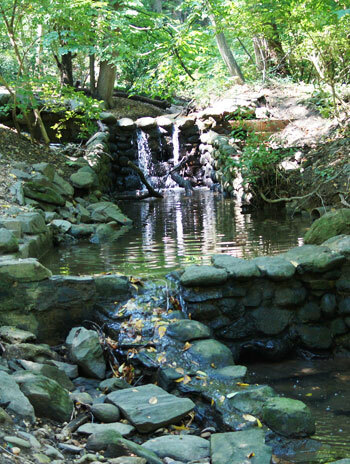 There is a manipulated watercourse with 18 weirs, which harness the water flow through the park as well as create a rich sensory experience. 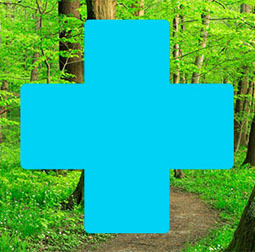 There is a path system that meanders the visitor though forest, stream, and meadow, creating a circuit of experience. There are the remains of stone-garden follies, which once provided shade and a moment to reflect on the land, the past, and the future. In one circuit through the park, a visitor can experience all of these landscape moments. It’s a living work of art that provides a different journey for each visitor. 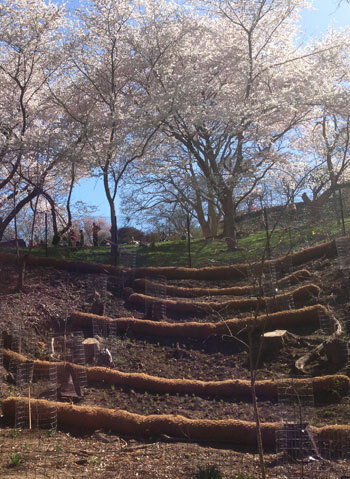 Dumbarton Oaks Park is a living canvas upon which the light can change many times in one day. Farrand designed landscapes and gardens with the deep understanding that they were not static but living, breathing, changing environments. She was capable of reading a site and creating a design that evolved from that understanding. She was a self-taught master of proportion, texture, and horticultural form. 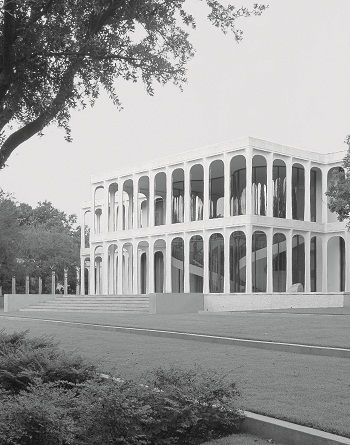 At Princeton University, where she worked for 28 years, she mastered the simple elegance of a quadrangle with the use of vertical plant material, and panels of grass to keep the space open and defined by the edges of the buildings meeting the ground plane. 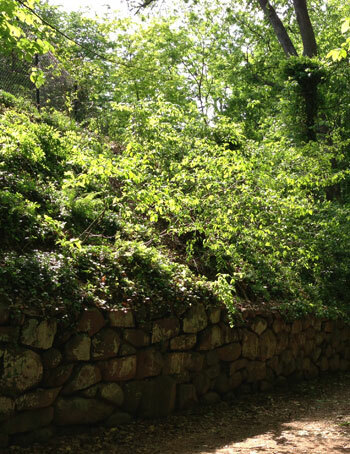 Dumbarton Oaks Park is a treasure because of this landscape architect’s vision. 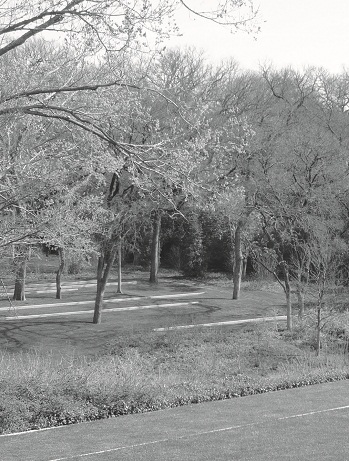 Farrand, though she was a founding member of the American Society of Landscape Architects (ASLA), was overlooked for many of the public park commissions in the first part of the century because she was a woman. 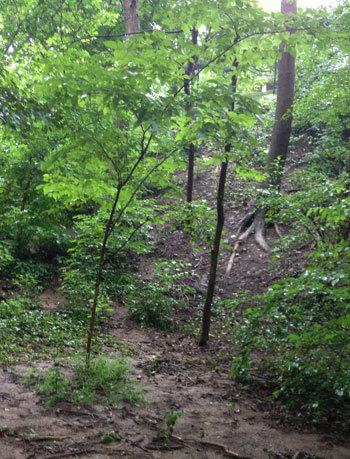 Frederick Law Olmsted Jr., Jens Jensen, and others were selected instead. But it is our great fortune that her only remaining wild garden now belongs to us all. 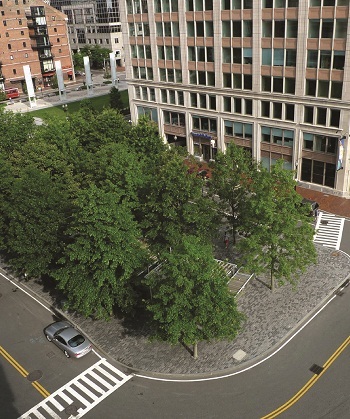 And so it is with great respect of Farrand’s mastery that we work to reveal the design of this urban wilderness garden. 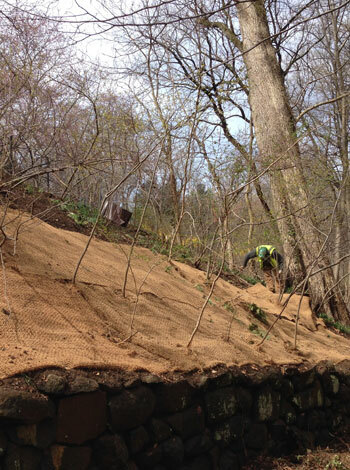 We work within a framework of design that exists, while balancing the current site conditions, such as soil erosion and compaction and invasive plants. …and up to the Northern Woodland in the distance. 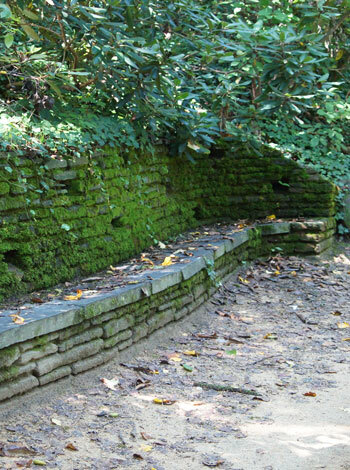 From bridge to bridge, one can now see the stream course running towards its wild neighbor, Rock Creek. The breathtaking scale of this silver-trunked grove of trees is made evident. Our efforts on a small scale are no less important. 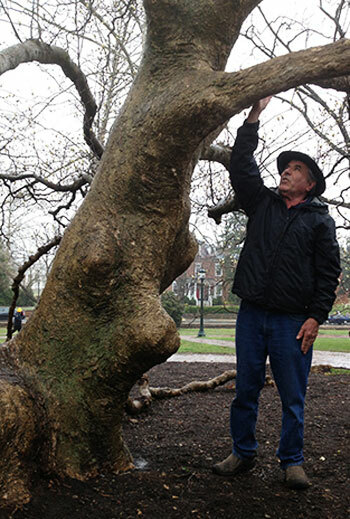 The recent replanting of a Black Gum tree in an existing tree pit notched into the Dumbarton Oaks wall will once again mark the entrance with its commanding trunk. Farrand’s use of human-scale landscape markers to suggest a path, an intersection, or a view was highly attuned. They are still in evidence. 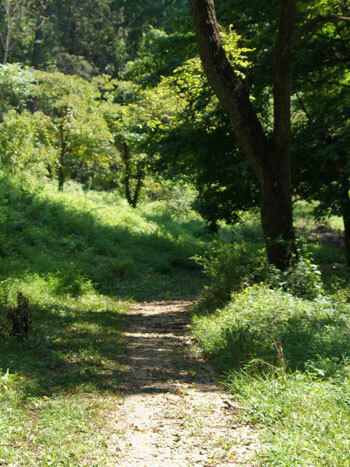 From the human-scaled path — edged with stone and drifts of herbaceous planting or from under the cover of a wood arbor — Farrand developed views out to the larger landscapes beyond, such as the meadow and woods. Farrand carefully orchestrated the experience as one moved through the park. To be successful in the restoration of this wild garden we must keep in the forefront of our minds the landscape scale and the human scale simultaneously. Farrand left us this legacy as a guide. 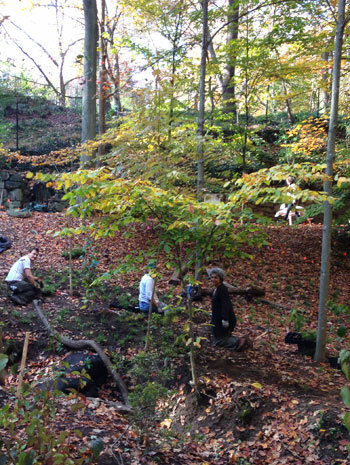 This guest post is by Liza Gilbert, ASLA, chair of the Signature Committee, Dumbarton Oaks Park Conservancy. Colombia’s decades of civil war displaced hundreds of thousands of people. Fleeing the countryside, they arrived in the cities like Medellin, only to discover a brutal world ruled by drug lords. 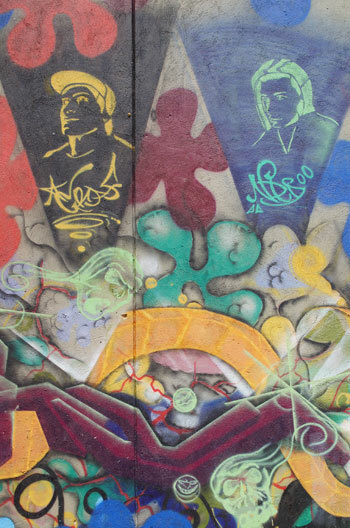 Until drug kingpin Pablo Escobar was killed in 1993, the residents of Communa Trece, a community on a steep slope about a mile from the central valley of Medellin, faced incredible violence. In the early 90s, there were more than 6,000 murders per year. “Escobar corrupted Medellin. He turned kids into contract killers. Everyone wanted a motorcycle and a gun,” said Carlos Mesa, a guide with Las Buseticas, in a tour organized through the UN-Habitat’s World Urban Forum. Years after Escobar’s death, the city’s mayors began a program of reconciliation with the former drug lords, turning them into local civic leaders. The settlements themselves changed from illegal to legal, as the city brought in clean water and made properties legitimate with official deeds. 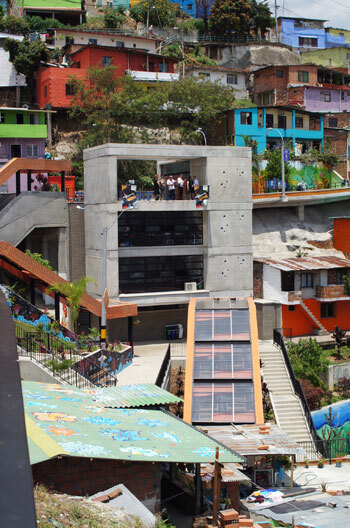 To create a sense that those living on the slopes were also citizens of Medellin, the city financed training and education targeted at the poor. 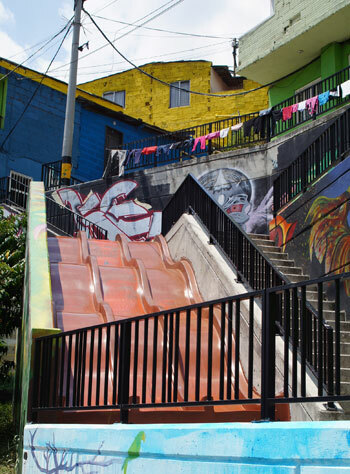 And, importantly, the city began making major investments in infrastructure and urban design, like an incredible 300-foot long escalator built right into the hill, which helped give the residents of Commua Trece the sense that their lives matter, too. But beginning with Mayor Sergio Fajardo in the early 00s, the city began to take notice, initiating a program of reconciliation with the gang leaders, as “many already had strong leadership skills,” said Mesa. As security improved, whole neighborhoods became legal. If a resident of a shanty wanted access to social services, they needed to have their residence surveyed to make sure it was safe, and, then, if so, it was officially formalized and legalized. In many cases, these homes were then brought into the electricity and water grid. Mesa said some houses were removed because they were found to be built on highly unstable lots. 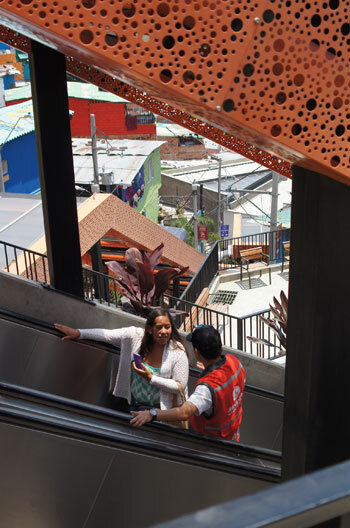 To improve the quality of life in some of the steepest areas, EDU, the city’s urban development organization, initiated a range of projects, spending tens of millions, including $8 million on the new escalator for one of the steepest slopes. 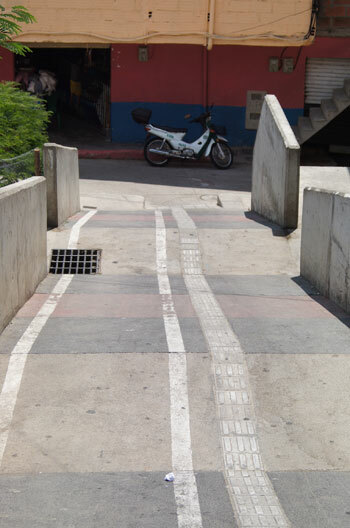 Working with Japanese engineers, the city of Medellin wanted to design a singular form of access for one of the most forgotten parts of the city. Mesa said before the escalator started running, residents had to climb the equivalent of a 30-story building to get home; that’s nearly half an hour of stair climbing. Their commute into the city and back could take more than two and half hours in total. For the elderly or infirm, this was simply impossible. As a result, “some people hadn’t been downtown in 15 years.” With the escalator and connecting subway, the ride downtown now takes about 45 minutes, opening up lots of job opportunities. 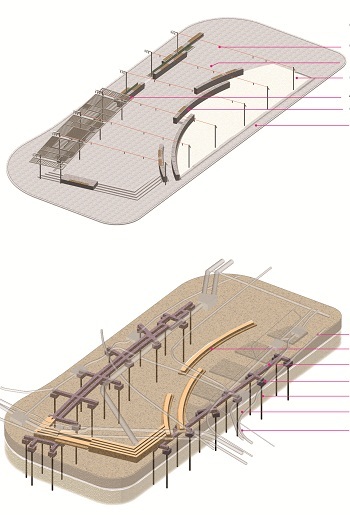 To construct the escalator, the city first had to build a road. 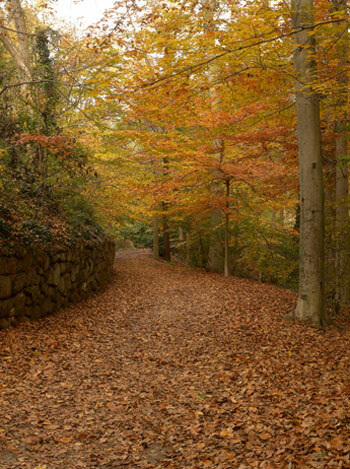 A 800-meter-long cement trail now runs in a loop through the hills. It’s open only to pedestrian, bicyclists, and motorcyclists. Santiago Mesa Arango, a representative with EDU, said this was just the first phase. 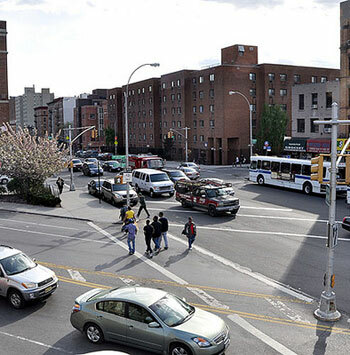 The loop will soon connect other neighborhoods, itself a major accomplishment considering it used to be fatal to cross some neighborhood lines. While gang violence and drugs are still a problem, they are much less so than in the 90s. Along the road, new shops have popped up to serve all the foot traffic. There are other great amenities for the community, too. A trash heap is now an excellent playground, with a satisfyingly-steep slide built into the slope. Above the slide is a playground and exercise area. 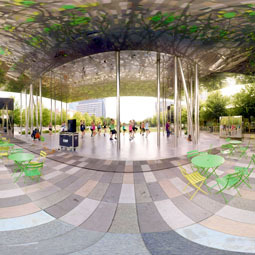 Throughout these new public spaces are some wild public art, created by local artists. 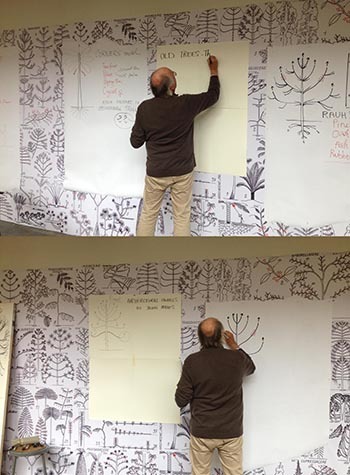 After a weekend spent drawing trees with the students and faculty of the landscape architecture department at the University of Virginia, French botanist Francis Hallé gave a talk on the ecology of tropical rainforests. He has studied tropical plant life in 45 countries for 55 years and was the first person to land on top of the rainforest canopy using a raft suspended from a dirigible. 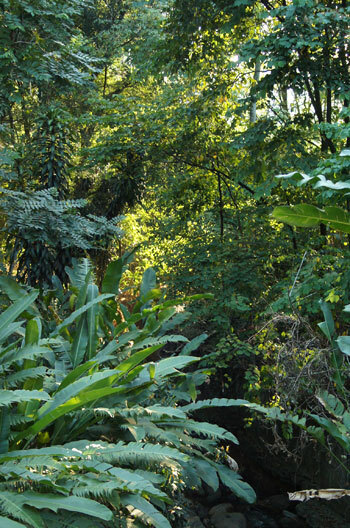 Hallé said the tropical rainforest canopy is the most complicated place to study botany for two reasons: one, the rainforest is the most biologically-diverse ecosystem in the world; and two, the canopy — because of its lack of humidity and access to sunlight — is even more diverse than the tropical forest undergrowth. 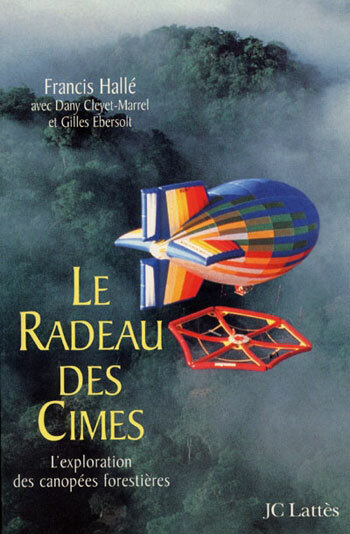 In 1975, Hallé and his colleague, Dany Cleyet-Marrel, a pilot and expert ballooner, attempted to fly in a hot air balloon over the rainforest in French Guyana. 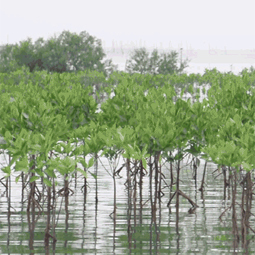 The trade winds were too strong to collect specimens, as Hallé planned. They needed to build an airfield in order to land on the canopy, and they also needed more financial backing. Hallé consulted his friend and colleague, an architect from the Versailles School of Architecture, Gilles Ebersolt, to design a canopy raft. 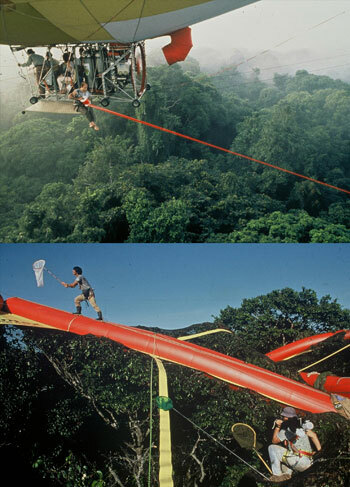 Finally in 1989, after the funding was acquired, and the equipment built, Hallé landed for the first time on the tropical canopy. The suspended raft and the materials were light enough that the crowns of three trees could support the entire weight. 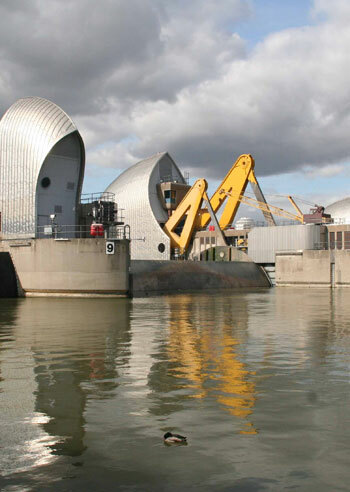 The 600-square-meter raft can hold 600 kilograms, approximately six scientists and their gear. He has brought entomologists, zoologists, and local botanists. In 1989, Hallé visited French Guyana, and, subsequently, Cameroon, Madagascar, Panama, Vanuatu, and Laos, where he hopes to return in 2015. 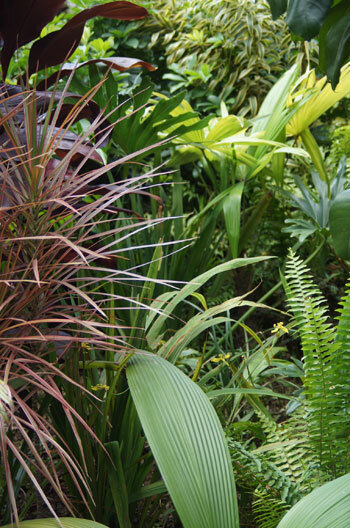 After witnessing the deforestation of tropical rain forests his whole life, Hallé seeks to bring attention to the beauty and life of the rainforest canopy. Last year, he completed his first film with filmmaker Luc Jacquet, Il Etait une Forêt, to celebrate the rainforest as it exists today and to help people understand the value of tropical rainforests. He concluded his lecture with another analogy: the tropical canopy is a large table set for an elegant and delicious dinner. There is exquisite food, abundant flowers, and fine wines. The moment the guests are ready to sit down, an idiot arrives with a chainsaw and says, “Wow, your table has wooden legs. I am interested in the wood.” Without a glance, he takes his chainsaw and he cuts the four legs. The dinner – the canopy – is destroyed and everything is lost. 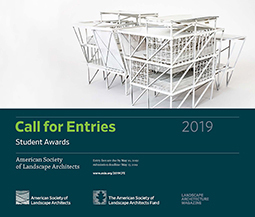 This guest post is by Lucy Mcfadden, a Master’s of Landscape Architecture candidate at the University of Virginia. 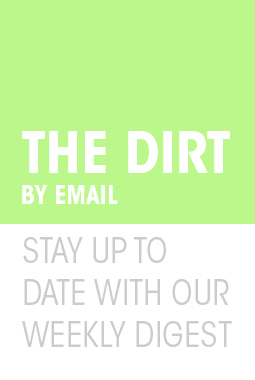 Vote for Us: ASLA’s web site, Designing Our Future: Sustainable Landscapes, has been nominated for a Webby, the most prestigious award for all things online. We need your help to win the People’s Voice Award. 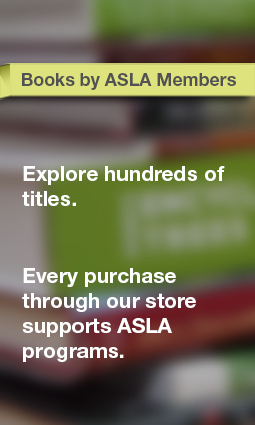 ASLA is currently in 2nd place. 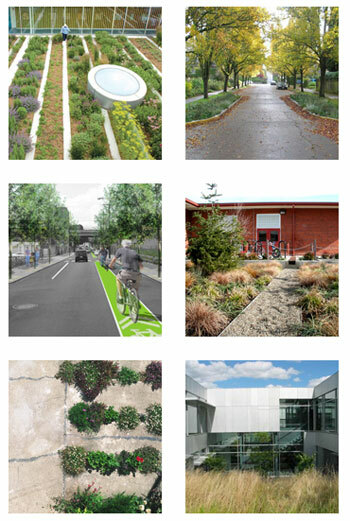 The web site is an online exhibition highlighting real-life examples of sustainable landscape design and its positive effects on the environment and quality of life. 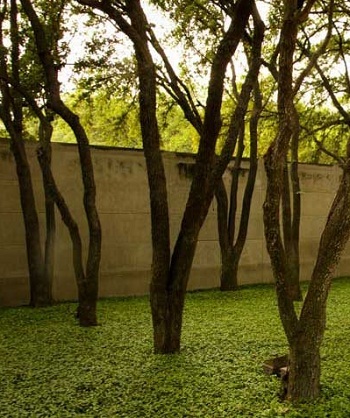 These spaces use natural systems to clean the air and water, restore habitats, create healthy communities, and ultimately provide significant economic, social, and environmental value. 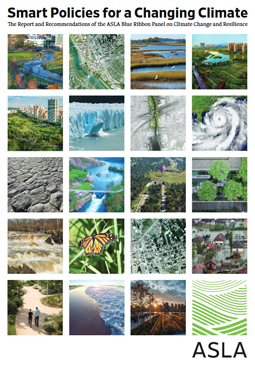 A total of 30 case studies illustrate just what sustainable landscapes are and how they provide important benefits on a variety of scales. 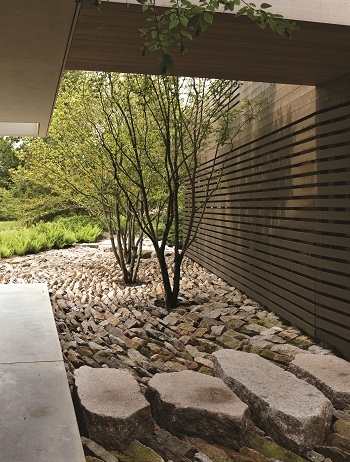 In the process, the case studies, written in clear, understandable language, also introduce users to what exactly landscape architects do. 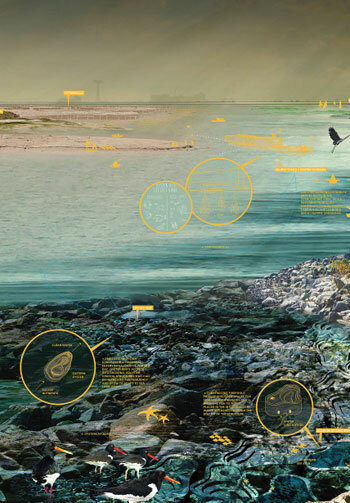 Animations also include companion guides — sustainability education resources that enable users to explore sustainable design concepts in greater depth. This project was made possible through a grant from the National Endowment for the Arts (NEA). 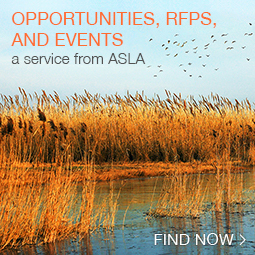 Vote for ASLA before April 24th. “The turning point in our city’s history was the killing of Pablo Escobar,” said Alexander Velez, our guide during a tour of Medellin, organized by UN-Habitat during the World Urban Forum. Escobar, the most notorious drug dealer of the century, was estimated to be worth some $25 billion by the time he was killed by Colombian police forces in 1993. At his height, he controlled some 80 percent of the world’s cocaine market. According to Velez, his impact on Medellin was deeply poisonous. 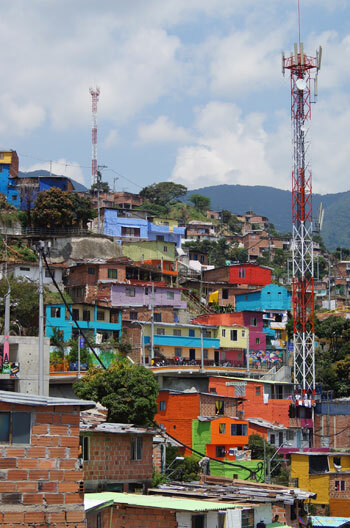 The gangs he controlled ruled the slums surrounding the valley of Medellin without mercy. It was dangerous to even cross neighborhood lines. Thousands of innocent people were murdered each year. 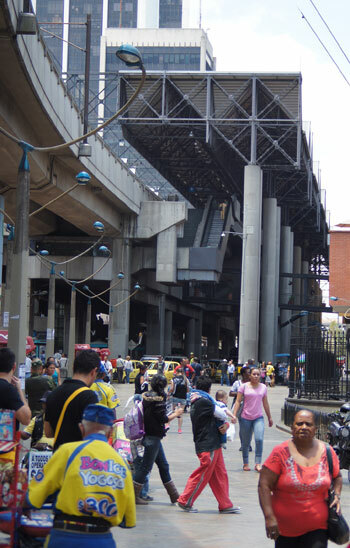 The other turning point, said Velez, was the creation of Medellin’s extensive Metro system, the first leg of which was launched in 1996. 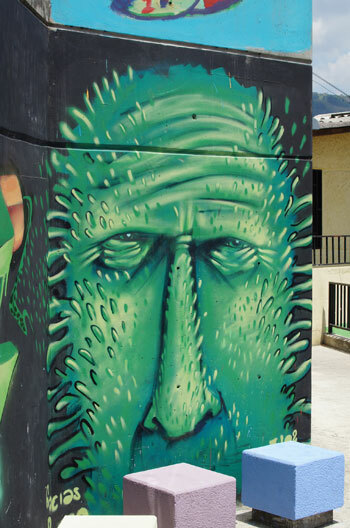 After Escobar died, the gangs were co-opted, and security began to improve, the people of Medellin discovered they could travel safely to other parts of the city. Soon, the city’s total transformation began to take root. And it only continues. We drive along the Medellin River, a thin, polluted channel lined in concrete and surrounded by train lines and highways that cuts through the heart of the city. 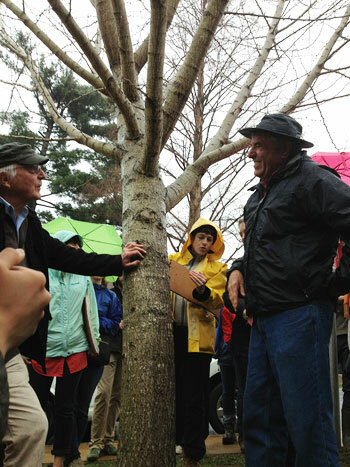 Velez explains that a new park will soon be built around the river. “We will bring back nature and undo the pollution. 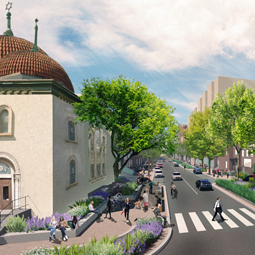 There will be pedestrian walkways, bicycle lanes. 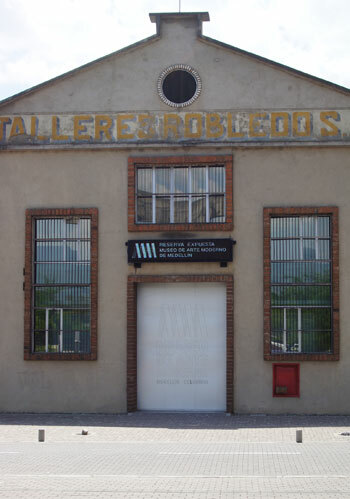 The highways will be buried.” Velez said there was an international design competition for the restoration and redevelopment project, which Latitud Taller de Ciudad y Arquitectura, a local firm, just won. The first segment will cost $300 million. Eventually, the park will extend 44 kilometers, said Velez. 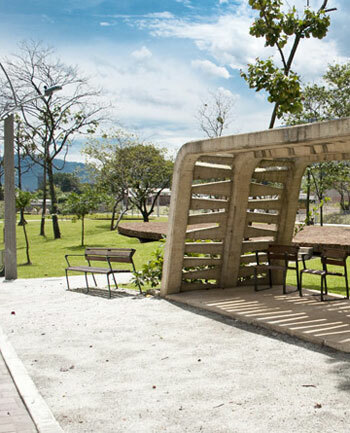 Parque Botánico Río Medellín by Latitud Taller de Ciudad y Arquitectura. 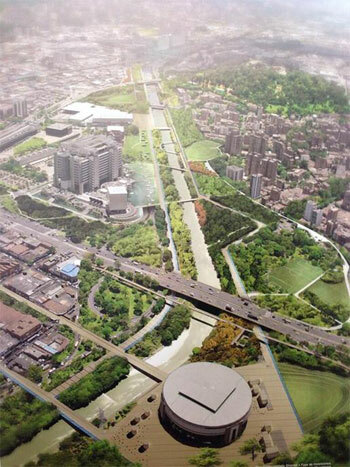 Winner of the Design Competition for Medellín River Park. The restoration of the Medellin River is just another example of how the city’s leadership is focused on improving social equity, stitching the poor and rich parts of the cities together. 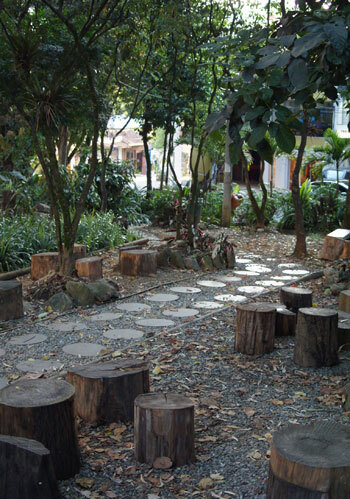 This transformation is even seen in El Poblado, the wealthiest part of the city. Velez explained that this was the first place the Spanish colonialists settled in 1616. “They didn’t find gold but did find water so they stayed.” Over the centuries, the area evolved into a place where the very rich kept their country homes. In the early 20th century, there were extensive estates. One example of this is the Castle, the estate of José Tobón Uribe, who died just after he built the place in the 1930s. The castle was modeled after a Gothic castle in Loire, France. Later in the 1940s, textile magnate Diego Echavarría Misas bought the castle and then turned it into a museum. Even the richest area is now more accessible, said Velez. 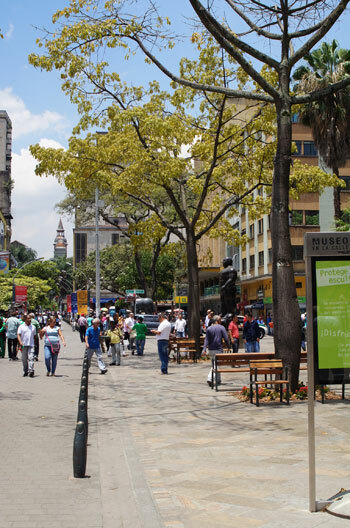 While the very wealthy still live in the area, along with the Mayor of Medellin and other celebrities, El Poblado is also now the neighborhood of the upper middle class. 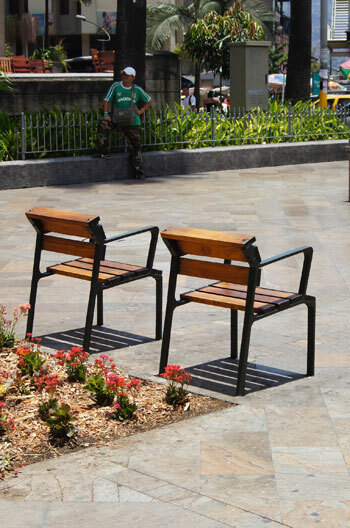 The main square, El Poblado square, where the Spanish first landed, has become a spot for locals to take a break. Gorgeous old trees provide a welcome canopy. And winding through the district is a stream that has been restored, forming the backbone of a new linear park, which opened in 2003. Surprising cafes and bars appear at the edges of the park, providing another respite in a city filled with greenery. 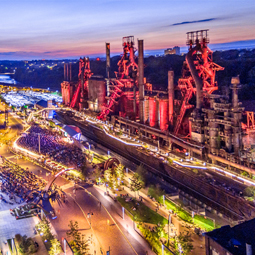 We could see the metamorphosis in one industrial area, with the opening of the Museum of Modern Art in an abandoned, 1930s-era steel mill. A $12 million addition is coming in behind the existing building. 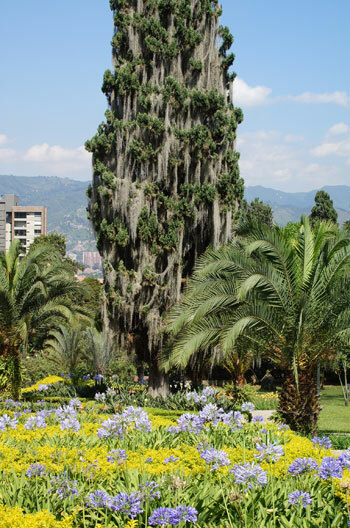 And, again, Medellin surprises with its parks. 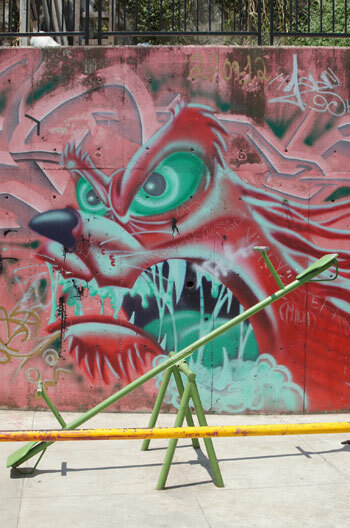 Colombian endorphin-addicts could be seen tossing medicine balls in Parque líneal Ciudad del Río, the funky, urban park covered in street art, adjacent to the museum. 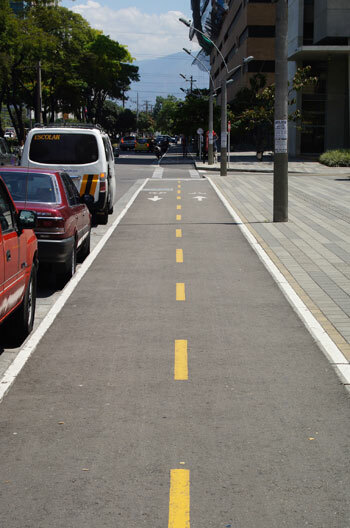 These lanes also serve the new bicycle share system, which Velez said the city has been running for the past three years. If residents show an ID and credit card, they can use the bikes for free. 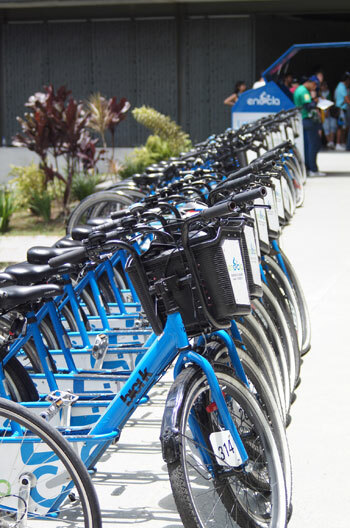 Velez said there are 800 free bikes, and the system will soon scale up to nearly 1,100. All of those must be put to use on Sundays, when much of the city’s streets no longer become accessible to cars, opening up into a bonanza for two-wheelers. Throughout the city, one is struck by the small design details, too. 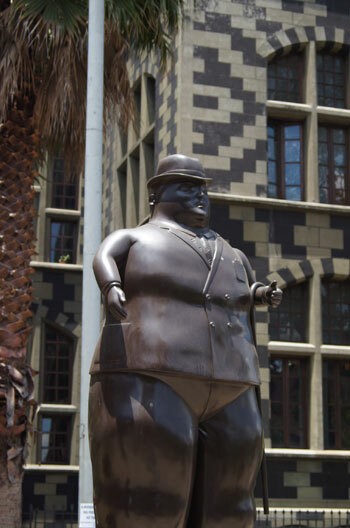 Velez took us to Plaza Botero, which features the largest collection of local Medellin artist Fernando Botero’s outdoor sculptures. 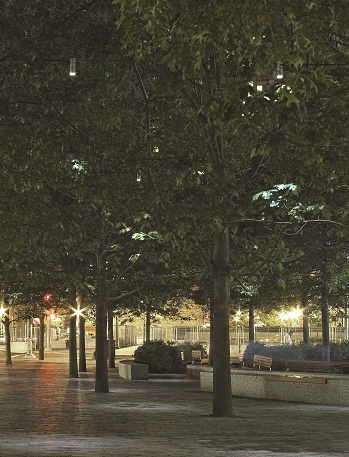 While the sculptures are stunning, the comfortable, human-scale streetscape competes for your attention, as well as the urban furniture that can be found throughout the downtown. 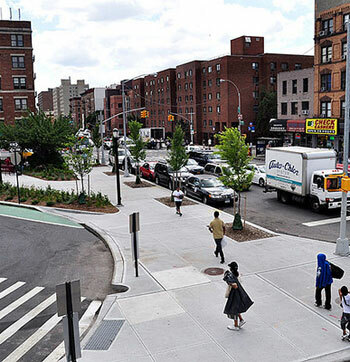 This is a city designed for all — with places to stroll and sit. 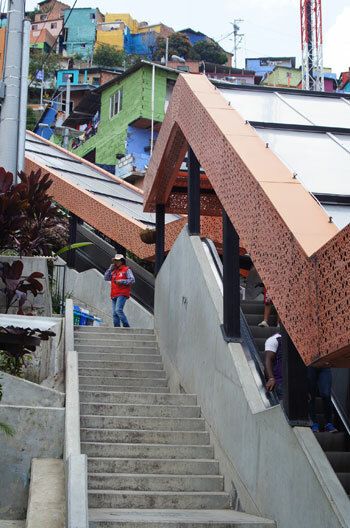 It’s the careful attention to these details that make Medellin feel so welcoming. The tour then headed to the northern end of the city, which has been hit hardest by poverty and violence, and, therefore, has seen the greatest transformation. 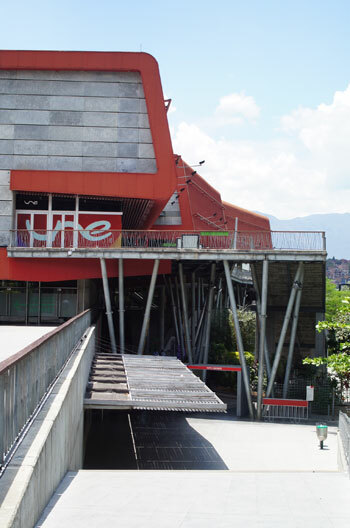 Our first stop is the Ruta N complex, the center of Medellin’s efforts to lure innovative companies to participate in the city’s rebirth. Velez said it’s an innovation center that includes a lab and offices for the local Hewlett Packard center. 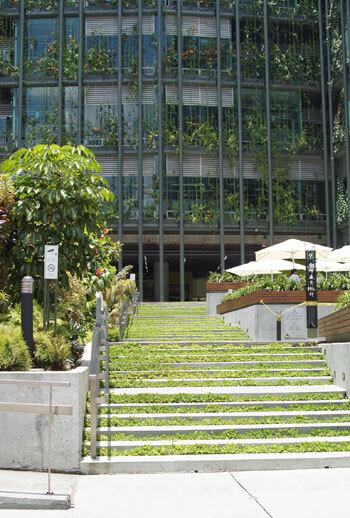 The building features an innovative green wall system and reuses all water. 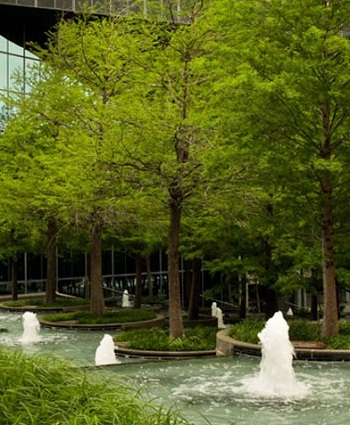 Tropical gardens surrounding the building collect rainwater and cool the plaza and building. 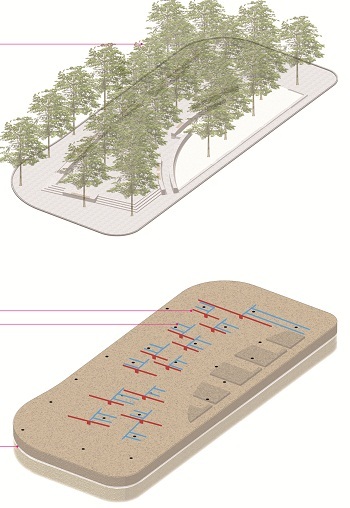 Next to Ruta N are a set of new parks that demonstrate the core of the city’s transition into a more equal place, at least in terms of access to beautiful public spaces. 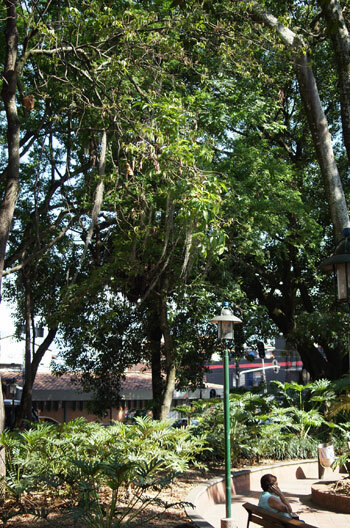 As Velez has explained, since the early 00s, the city, along with the foundation of the Empresas Publicas de Medellin (EPM), the all-encompassing public utility, have financed a wonderful program of “library-parks,” which combine places for learning, exploration, and play, with well-maintained green, public spaces. 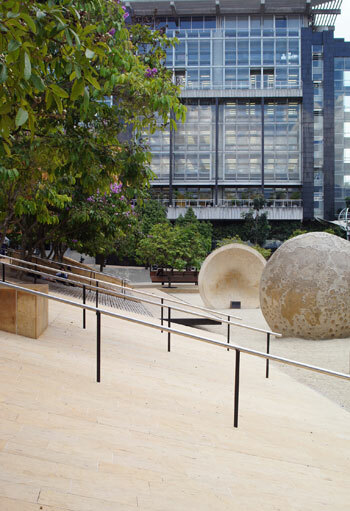 There are nine library-parks in “deprived areas.” One of these is the Park of Wishes, which was designed in 2003 by architect Felipe Uribe de Bedout, who also created the now-famous Barefoot Park, and features the city’s biggest music school. Facing the school is the city’s planetarium, which has a giant projector screen for outdoor films on one of its walls. The park offers fun “echo chambers” in the shape of moons.